In July, North Korea tested its longest-range ballistic missiles yet, putting it closer than ever to having a nuclear weapon that could strike the US mainland. But that is not actually our most urgent problem, says Siegfried S. Hecker, a former director of the Los Alamos National Laboratory, who has visited North Korea seven times and toured its nuclear facilities. While North Korea is bent on extending its nuclear strike range, it can already hit Japan and South Korea. With US politicians calling for military action against the North, and a general escalation of belligerent rhetoric on both sides, it is entirely possible that we will stumble into a nuclear war on the Korean peninsula. In this in-depth interview, Hecker calls on Washington to talk to Pyongyang—not to negotiate or make concessions, but to avert disaster. BAS: North Korea tested 24 missiles in 2016 and has tested nearly 20 so far this year. What is distinctive about the two it tested in July? SH: The missile tests on July 4th and 28th were the first that had intercontinental ballistic missile (ICBM) capabilities. They were intentionally launched at lofted angles, most likely so they wouldn’t overfly Japan. According to the Korean Central News Agency, North Korea’s state news outlet, the most recent Hwasong-14 missile reached an altitude of 3,725 kilometers (2,315 miles) and flew a distance of 998 kilometers (620 miles) for 47 minutes before landing in the water off the Korean peninsula’s east coast, close to Japan. 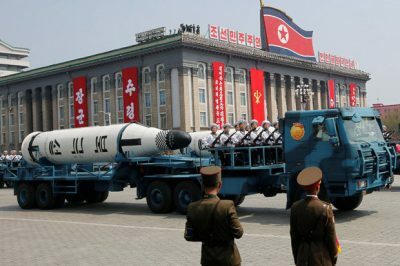 If launched on a maximum-range trajectory the missile could travel more than 10,000 kilometers (6,200 miles), giving it the ability to reach much of the US mainland. BAS: Do these test launches indicate that North Korea has mastered ICBMs? SH: I think not yet, but these two tests demonstrate substantial progress and most likely mean they will be able to master the technology in the next year or two. The North Koreans have very cleverly combined various missile stages and rocket engines to get this far, but a reliable, accurate ICBM will require more testing. 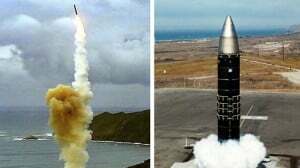 In addition, it is not clear whether they have sufficiently mastered reentry vehicles, which are needed to house the nuclear warhead on an ICBM. Advanced reentry vehicles and mechanisms to defeat missile defense systems may still be five or so years away. However, make no mistake, North Korea is working in all of these directions. BAS: Why are intercontinental ballistic missiles—ICBMs—so important, from North Korea’s point of view? SH: Pyongyang’s fears of US military intervention have surely grown with the dire warnings coming from US political leaders during the past several months. Pyongyang is determined to develop an effective deterrent to keep the United States out. It apparently views being able to threaten the US mainland with a nuclear counterstrike as the ultimate deterrent. It also likely has a political goal, to get Washington to the table on what Pyongyang would see as a more equal basis. BAS: We last spoke in May about North Korea’s nuclear capabilities and the technical challenges it faces—among them, making a nuclear warhead small enough to fit on a missile, and a weapon that can survive the extreme conditions involved during launch, flight, and re-entry into the atmosphere. Have North Korea’s technical capabilities changed since then? SH: I think the warhead is still the least developed part of North Korea’s plans for nuclear ICBMs. It must survive such extreme conditions, and it must detonate above the target by design. It can’t accidentally detonate on launch or burn up during reentry. North Korea likely made some of the key measurements required to define those extreme conditions during the two July tests, but I can’t imagine it has learned enough to confidently make a warhead that is small and light enough and sufficiently robust to survive. Achieving these goals is very demanding and takes time, particularly because warheads contain materials such as plutonium, highly enriched uranium, high explosives, and the like. These are not your ordinary industrial materials. BAS: Does North Korea have sufficient plutonium or highly enriched uranium to serve as fuel for nuclear weapons? SH: This is one of its greatest limitations. It has very little plutonium and likely not yet a large amount of highly enriched uranium. For plutonium particularly, its small 20-to-40 kilogram inventory must be shared among several purposes: experiments required to understand the world’s most complex element, nuclear tests to certify the weapon’s design, and stock for the arsenal. To put North Korea’s plutonium inventory in perspective, the Soviet Union and United States at one time had inventories in excess of 100,000 kilograms each, and China is believed to have an inventory of roughly 2,000 kilograms. Estimates of North Korea’s highly enriched uranium inventory are highly uncertain, but are likely in the 200 to 450 kilogram range, which, combined with its plutonium inventory, may be sufficient for 20 to 25 nuclear weapons. Moreover, North Korea has conducted only five nuclear tests and we do not know if these used plutonium or highly enriched uranium for bomb fuel. During one of my seven visits to North Korea, the scientific director of their nuclear center told me that the first two devices used plutonium. During my last visit in November 2010, I was shown a modern centrifuge facility that had just begun operation. Based on that visit, I believe that North Korea most likely also used plutonium for the February 2013 test, but may have used highly enriched uranium for the two tests in 2016. Plutonium is a better bomb fuel, although its temperamental properties make it difficult to use reliably. Nevertheless, it would be preferred for making a weapon small enough to mount on an ICBM. Highly enriched uranium is more forgiving from an engineering point of view, but it is more difficult to miniaturize the warhead. North Korea has much more experience in uranium metallurgy than plutonium metallurgy because natural uranium metal is used to fuel its nuclear reactor. However, their overall experience with both materials in nuclear warheads is very limited. BAS: In May you said you thought five nuclear tests spaced over ten years has likely allowed North Korea to miniaturize a nuclear warhead. Is that at odds with what you now believe? SH: No. I was then referring to miniaturizing warheads for shorter-range missiles that could reach all of South Korea and Japan. The shorter range allows for much bigger warhead payloads and poses fewer challenges. Uranium could more easily be used for bomb fuel in such warheads. North Korea had no ICBM rocket experience until the two tests in July. Now we are talking about ICBMs, which have much more stringent warhead requirements. Miniaturizing a warhead sufficiently to fit on an ICBM will take more time and tests. BAS: Last week, US Secretary of State Rex Tillerson called for discussions with North Korea, although the State Department then appeared to walk back the call for unconditional dialogue. You’ve expressed that dialogue is essential. Why now, and what do you think it could accomplish? I do not think that North Korean leader Kim Jong-un is a madman. We can’t even call him unpredictable any more—he says he will launch missiles, then he does. The madman rhetoric only flames the panic we see in this country because it makes Kim Jong-un appear undeterrable, and I don’t believe that to be the case. He is not suicidal. Nevertheless, it is possible that in his drive to reach the US mainland to achieve a greater balance with the United States, Kim could miscalculate where the line actually is and trigger a response from Washington that could lead to war. The problem is that we know nothing about Kim Jong-un and the military leaders that control his arsenal. It’s time to talk and find out. BAS: Both Senator Graham and former State Department official John Bolton spoke of pursuing a military option against North Korea last week. In May you said war would be a disaster. Why is it still being considered an option? SH: Talk of war is dangerous and irresponsible. It would have catastrophic consequences for Northeast Asia and the world. Military action could slow the North’s program, but not eliminate it. Threats of war, moreover, only make the North redouble efforts to hold the United States at risk. And they greatly exacerbate the greatest risk of all: an inadvertent war on the Korean peninsula with the potential for hundreds of thousands of deaths, including thousands of American citizens. Unfortunately, some American leaders believe that if there is a war, keeping it on the Korean peninsula will keep us safe. I maintain that a nuclear war anywhere will have catastrophic consequences for America. BAS: Can you tell us more about what you think dialogue should look like? How do you convince skeptics who think there should be no negotiating with such a belligerent power? SH: The crisis on the Korean peninsula is so urgent that President Trump should send a small team of senior military and diplomatic leaders to talk to Pyongyang. They must try to come to a common understanding that a nuclear war will inflict unacceptable damage to both sides, so must not be fought, and that a conventional conflict would pose a high risk of escalating to a nuclear war, so must likewise not be fought. This sort of dialogue might resemble the one between US President Dwight Eisenhower and Soviet leader Nikita Khrushchev in Geneva in 1955, which US President Ronald Reagan and Soviet leader Mikhail Gorbachev re-affirmed at a Geneva summit in 1985. They agreed that a nuclear war cannot be won, so a nuclear war must not be fought. The United States and Soviet Union deterred each other through mutually assured destruction. A similar state is achievable with regard to North Korea. Joint US-South Korean conventional forces combined with overwhelming US nuclear forces can assure the North’s destruction. Pyongyang’s nuclear arsenal combined with its conventional artillery and chemical weapons can inflict unacceptable damage to South Korea, Japan, and regional US assets. Although the tradeoff is asymmetric—that is, assured annihilation versus unacceptable damage—I believe it will deter both sides from military aggression. BAS: So are you recommending negotiations? SH: No, the time is not yet ripe for renewed negotiations. Talking is not a reward or a concession to Pyongyang and should not be construed as signaling acceptance of a nuclear-armed North Korea. Talking is a necessary step to re-establishing critical links of communication to avoid a nuclear catastrophe. We must first come to the basic understanding that a nuclear conflict must be avoided. The need to communicate is sufficiently urgent that talks must start without preconditions. BAS: What else could talks accomplish? SH: They would provide an opportunity to impress upon Pyongyang that ensuring the safety and security of nuclear weapons is an awesome responsibility. These two issues are becoming more challenging as Pyongyang strives to make its nuclear arsenal more combat-ready. A nuclear-weapon accident in the North would be disastrous, as would a struggle to control the North’s nuclear weapons in the case of attempted regime change from within or without. The talks should also cover the need for mechanisms to avoid misunderstanding, miscalculation, or misinterpretation of actions that could lead to conflict and potential escalation to the nuclear level. In simplest terms, Washington should convey that it is deterred from attacking the North, but not from defending the United States or its allies. It should reiterate that any attack on South Korea or Japan, be it with conventional, chemical, or nuclear weapons, will bring a devastating retaliatory response upon North Korea. 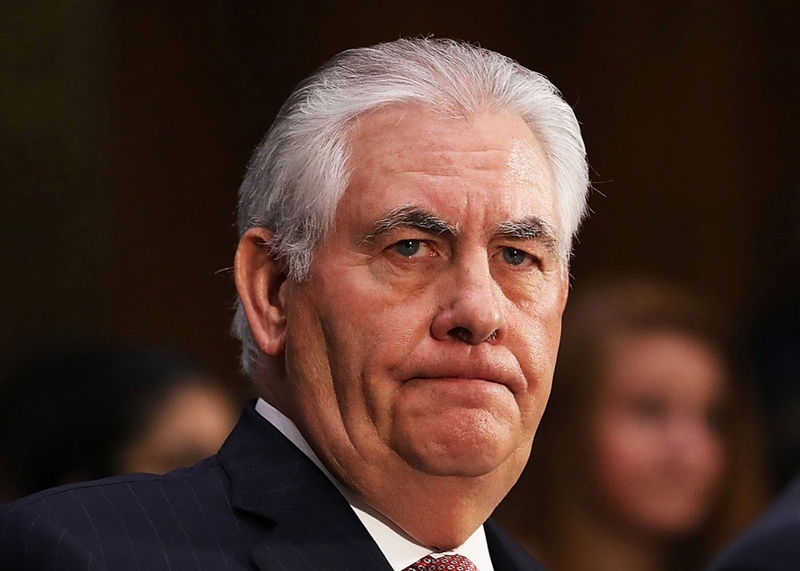 The US delegation could also reinforce Secretary of State Tillerson’s message, that the United States is not aiming to threaten or replace the North Korea regime and is prepared to assure the security it seeks. Also, the talks should underline to Pyongyang that any export of nuclear technologies or weapons know-how is unacceptable, and that Pyongyang should not imagine such exports or transfers can be hidden. Finally, talks should emphasize that these are talks, not negotiations. The exchange may lay the foundation for a return to diplomatic dialogue on denuclearization and normalization, particularly if Washington listens as well as talks. But that is not what this initial contact should be. BAS: But won’t any talks be construed as Washington having blinked first and recognized North Korea as a nuclear-armed state? SH: Washington can acknowledge that Pyongyang possesses nuclear weapons—which is the reality—while also reiterating that it will not accept Pyongyang as a nuclear weapon state. Washington can make clear that it intends to pursue the eventual denuclearization and normalization of the Korean peninsula—goals that North Korea publicly signed on to in 1992, 2000, and 2005. Letting today’s state of affairs persist because we are overly concerned about “blinking” will only make a bad situation more dangerous. BAS: The US president has been very critical of China for not doing more to prevent North Korea’s missile and nuclear testing. Is it realistic to think China can control the North’s actions in this way? What do you think the proper role of China is here? SH: The Obama administration pressured China and it didn’t work. The Trump administration similarly had its hopes pinned on China to pressure Pyongyang, and it won’t work either. We need to understand China’s national interest: It does not want to see Pyongyang armed with nuclear weapons, but it is not willing to bring the regime to its knees to stop it. Quite frankly, Beijing views Washington’s belligerence toward North Korea as the main driver of Pyongyang’s accelerating nuclear weapon program. BAS: What do you fear could happen in the near future if we stay on the current track? Basically, what about this whole situation most keeps you up at night? SH: That North Korea continues to make its nuclear arsenal more combat-ready and threatening to the US mainland, and that Washington declares this behavior a red line. And that the provocative rhetoric on both sides fuels more misunderstandings and miscalculations, which trigger a nuclear war on the Korean peninsula.